Maruti Suzuki Alto, the bestseller from the stables of India’s favorite manufacturer has been an envy of the other major players in the auto market for such a long time. 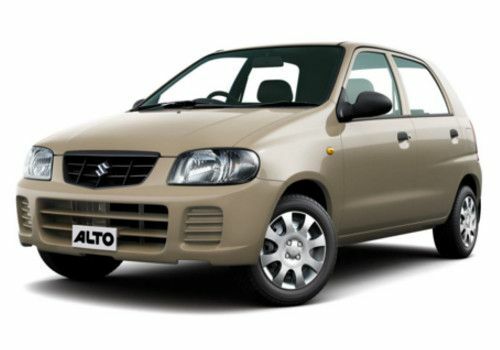 Maruti upgraded this vehicle and introduced it as Maruti Alto K10 in the year 2010. The designing of the hatch went more upmarket and matured in a way that made it look more sophisticated. Maruti increased the length, gave it big grille,restyled the tail lights and gave it a longer engine which was the K-series engine. The Japanese auto major also used the popularity of Alto hatch and when the time came to replace its bread and butter car Maruti Suzuki 800, the company christened the new arrival as,’ Maruti Alto 800’. The new hatch which was launched in the market in October 2012 around the festive season to grab attention as well as the blooming market and rightly so as the hatch has clocked in a booking figure of 50,000 which is more than half the number of Eon small cars sold in a year. Maruti surely is going to hold the numero uno title with Alto series. Selling the highest number of cars, Maruti Alto has grabbed the title of world's no. 1 small car in 2010. Maruti Alto left behind the all famous Fiat Uno and Volkswagen Gol in Brazil and Volkswagen Golf in Germany and for the first time a car selling in India managed to be the bestseller at global level. Alto K10- one more reason to say Lets go ! The claimed ARAI mileage: Maruti Alto Petrol is 19.7 kmpl | Maruti Alto CNG is 26.83 km/kg.